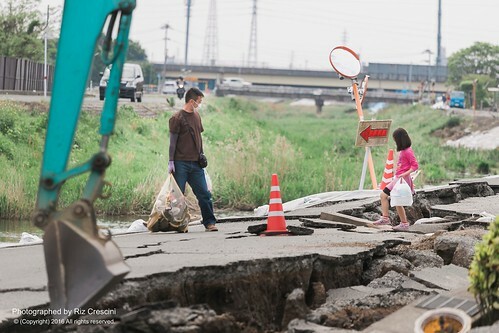 Takeshi Takazawa of Asian Access reports that there are over 100 churches in the Kyushu earthquake disaster area and surrounding vicinity in SW Japan. Those churches together created the "Kyushu Christian Relief Center" and it's already functioning. 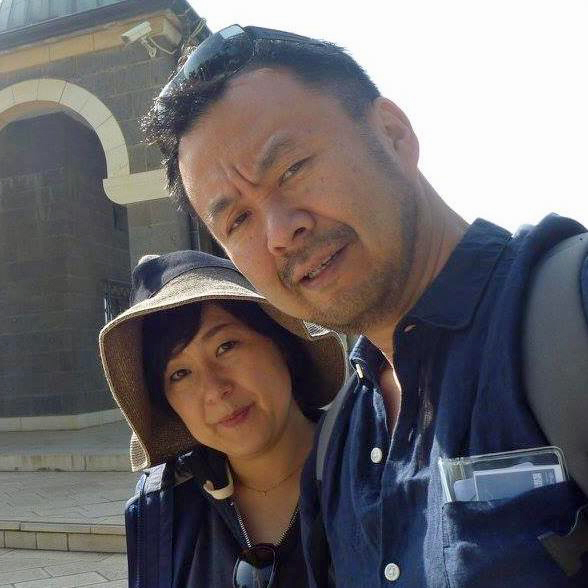 One of the on-site leaders is an alumnus of our leader development program, Pastor Yoji Nakamura. Together, they are distributing relief goods and helping out individual victims by removing debris from their houses. Pastor Yoshiya Hari called for prayer for this group, "Please pray for those in this network to really work together as the body of Christ and to reach out to their communities in Kyushu." In addition, please pray for these earthquakes to come to an end. You might think they were just two big earthquakes, but over 500 aftershock earthquakes that people can actually feel are continuing. Because of those aftershocks, people are so concerned and uncertain about even sleeping inside buildings, so people are going outside and sleeping. It's important to remember that the ministry of the church is continuing throughout the entire rescue, relief and rebuilding phases. Pray for this for rebuilding, and not just the physical aspect, but also the spiritual aspect, due to the greater church's work. Pray that each church and all the spiritual leaders both inside and outside—and also global church—will be be able to minister in a way that tangibly shows in this crisis and uncertainty that certain love and the hope and the hands of love that they can see and they can feel and that they can really rely on. Rev. Paul Kiichi Ariga added, "Each time these disasters occur, Japanese Christians accept it as God's happening that He will bring a new day for Japan to reach people with a gospel of Jesus Christ, actually helping those people with love action and showing God's heart." Pray that this effort will be able to bring unity. When the Northeast triple disaster happened, God used all those efforts to bring the Church together. And we are praying as Jesus was praying that we will be one, like Jesus and the Father and we will be able to unite together that's what I am praying for. Thank you for your prayers on behalf of the victims of the earthquakes in Southwest Japan. Still photography and photo slideshow: all images courtesy Riz Crescini, ©2016 All rights reserved. Used by permission. The Church of Japan is already helping the earthquake victims in Japan. But they can do so much more with help from people like you. 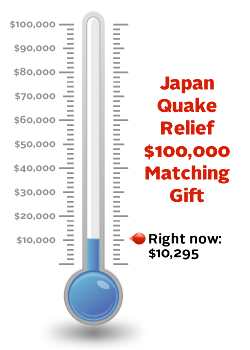 Remember, your gift will be doubled with the $100,000 matching grant.